“It’s easy to see why so many folks at Foley House Inn are repeat customers,” said Rhonda Fleming Hayes in Southern Living. 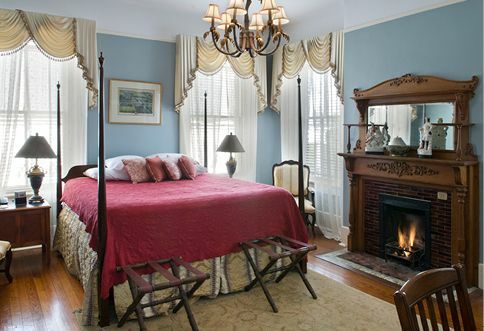 Our editors’ pick as the South’s Best Inn of 2017, the elegant bed and breakfast in Savannah’s Historic District represents “the perfect retreat after a busy day of exploration, shopping, and dining adventures.” Created from two 19th-century townhouses, the inn has 19 bedrooms, each comfortably furnished with an eclectic mix of antiques. The complimentary breakfast, served indoors or out, features peach French toast and grits du jour.